Welcome to the Seiken Densetsu 3 section! Here you can find information about the game as well as detailed guides covering the several aspects of the game. Due to the name changes of some elements in the game in the english patch for the rom, some of the names here will be different to their usual Japanese names. 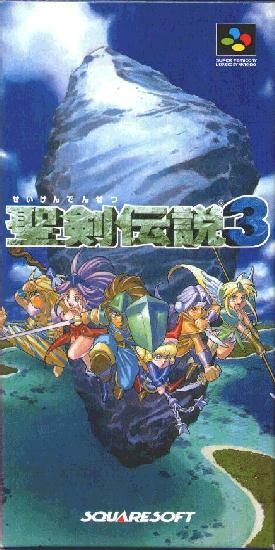 This Seiken Densetsu 3 site was created by Mana Knight on the 10th July 1999.